Meeting bad-boy Caleb Harrison wouldn't have interested Old Emma. But New Emma-the one who exists in a fog of grief, who no longer cares about school, whose only social outlet is her best friend Olivia-New Emma is startled by the connection she and Caleb forge. Just a note (not that it really matters): I read this book back in early August, but I wanted to hold off on writing and publishing my review until closer to the release date. Granted, it's still not *that* close to the release date, but it's good enough. Better than August. So! This book! What a book! You all do not understand how much this book touched me. I read it before it had a cover (the cover wasn't revealed until October tenth, anyway), so I wasn't dissuaded by the romance-based cover. Trust me, this book's romance plays a huge role in this book, but it's not what I would feature on the cover. I like the cover, but maybe not for this book. This book deals with difficult issues. A girl is struggling to maintain a relationship with her stepfather - a relationship that she feels like she doesn't want. Emma wants to hate Dan for keeping her mother's body alive, in order to have a shot at keeping their son (Dan and Emma's mother's son). You see, Emma's mother is over forty years old. Once women pass about thirty-five, pregnancies become high-risk. The baby could be born with conditions and disease, and the mother will most likely have a difficult pregnancy and difficult labor. So, Emma's mother technically dies, at fifteen weeks at pregnancy, but Dan makes the decision to maintain her bodily functions, so that the fetus can grow. Twenty-five weeks is the magic number. I totally understand why Emma hated Dan's decision so much. He never asked Emma what she wanted. It seemed like everything he was doing, he was doing for the baby, and not thinking about Emma's mother, or Emma. I can relate to this book as a whole, because my mother's sister (my aunt) went through basically the same thing last year. She was over forty, already had a daughter my age, but she got pregnant. About twenty-ish weeks into the pregnancy, things started to go downhill. She started bleeding, she was bedridden, the baby was under high stress... my aunt could have died, and the baby could have died. Around Christmas time, the baby was taken, and he died. My aunt wanted to keep the baby inside of her for as long as possible. She would have done anything for that little boy - just like Emma's mother. The (big) difference is, Emma's mother died from being pregnant - my aunt survived (but her little boy didn't). So, I feel like the issue with Emma's feelings about her mother's death, her future stepbrother, and her stepfather, is the forefront of the story. I'm saying that I don't like the cover, but I feel like the romance is secondary. And I don't know how Ms. Scott did it, but Emma's voice is phenomenal. I mean, as a teen, I could totally relate to Emma. I could feel all of her feelings, think all of her thoughts, understand what she was going through... everything just seemed extremely realistic. Emma's anger with her stepfather is so well-written - I would have reacted similarly, I feel! The romance is beautiful, though. I love Emma and Caleb together. Both of them are broken, splintered apart by awful, tragic events in their lives. Both of them need each other, want each other, and thankfully, they find each other. I seriously think that the romance in this book is PERFECT. Subtle, simple yet complex, tortured, beautiful. I really, really enjoyed this book. It broke my heart in many ways, because of what happened so recently with my aunt, but I loved this book regardless. This book will always be special to me, for that reason. The ending is imperfectly perfect. You'll have to read the book to know whether or not the baby survived, Emma and Caleb survived, Emma and Dan survived, and so on. But I love the ending. I love this book. I have nothing to say in this section! I know that no book is perfect, but I really cannot think of anything for this section at the moment! YES! I know that the cover will lead you to think that this book is a contemporary romance story - which it does feature - but that's not solely what this book is about! Give it a try, whether you like contemporary novels or not. It might change things for you! This is one of those books that if you can relate, then it sticks with you forever. I know it will, for me! 5 stars. 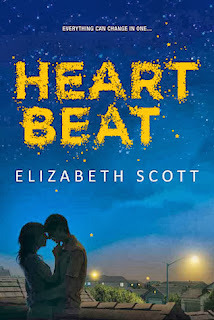 I haven't read anything else by Ms. Scott, but I have to say, I am very impressed! This story has so much meaning to me, so I am honored to have had a chance to read it. Sounds like this is not a book to judge by its cover! I think I'll give it a try since your review has made me want to give this contemporary a try! I don't read that many contemporaries, but this looks like it has wonderful yet sad story- kinda of like the book- The Beginning of After. Great review!! I enjoyed Bloom by her. Glad to see this one is good too. From the moment when I read the synopsis,this book got my attention. I'm not a *huge* fan of the cover, but it works. It's a powerful read, Bube! I hope enjoy this book if/when you read it.